Ships tomorrow if you order in the next 18 hours 11 minutes. 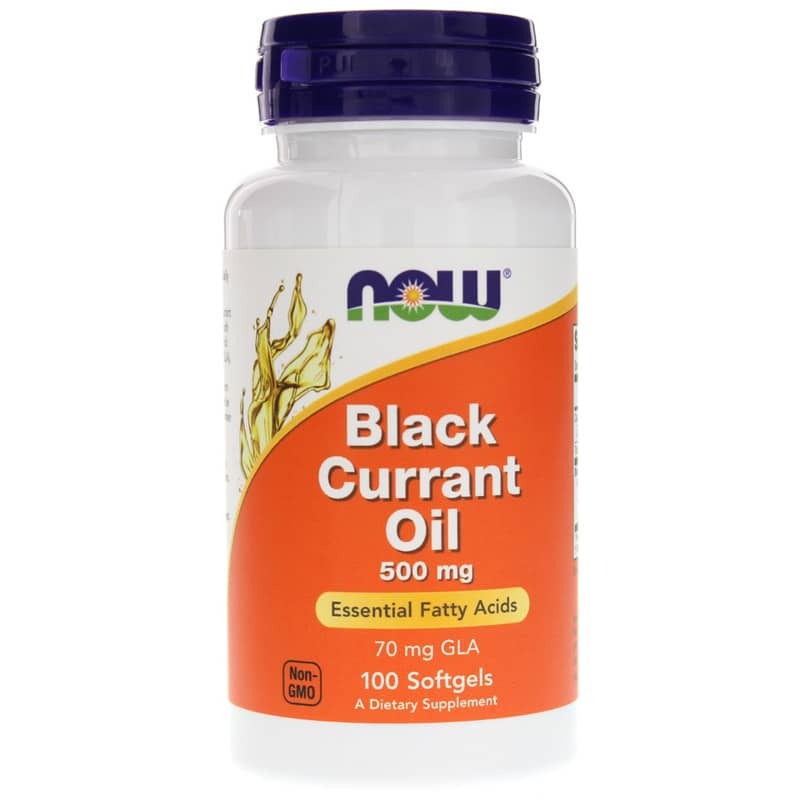 Black Currant Oil supplement by NOW is a gamma linolenic acid GLA supplement. Black currant oil is extracted from black currant seeds that produce a valuable nutritional oil containing 14% GLA. Each softgel contains almost double the GLA content of Evening Primrose Oil. 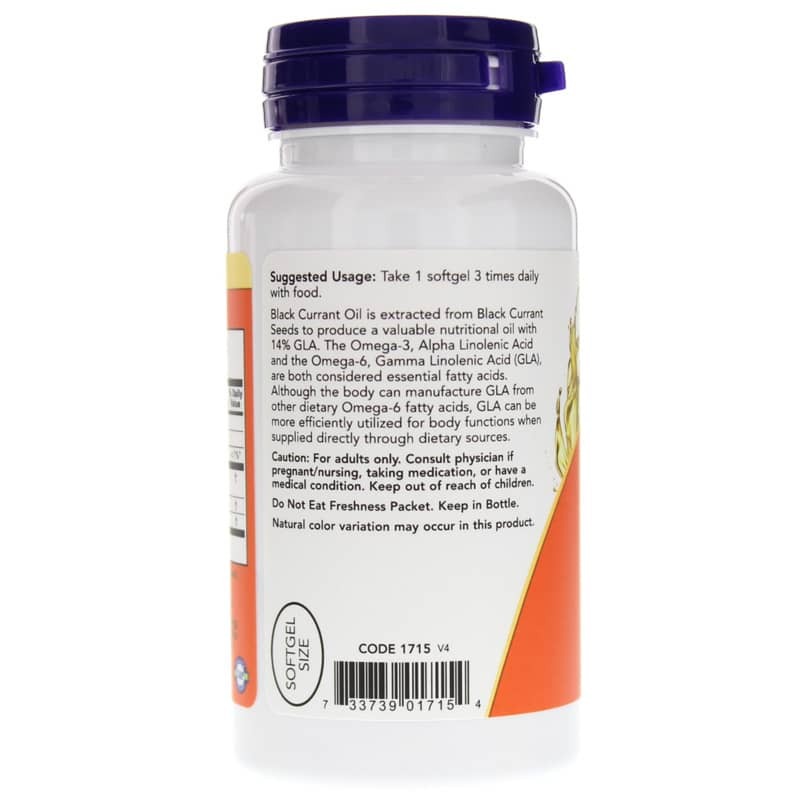 This means that 3 softgels per day of NOW Black Currant Oil provides the GLA equivalent of 6 regular Evening Primrose Oil at a more economical price. Other Ingredients: Softgel capsule (gelatin, water, glycerin). Non-GMO. Not manufactured with: yeast, wheat, gluten, soy, milk, egg, fish, or shellfish ingredients. Produced in a GMP facility that processes other ingredients containing these allergens. 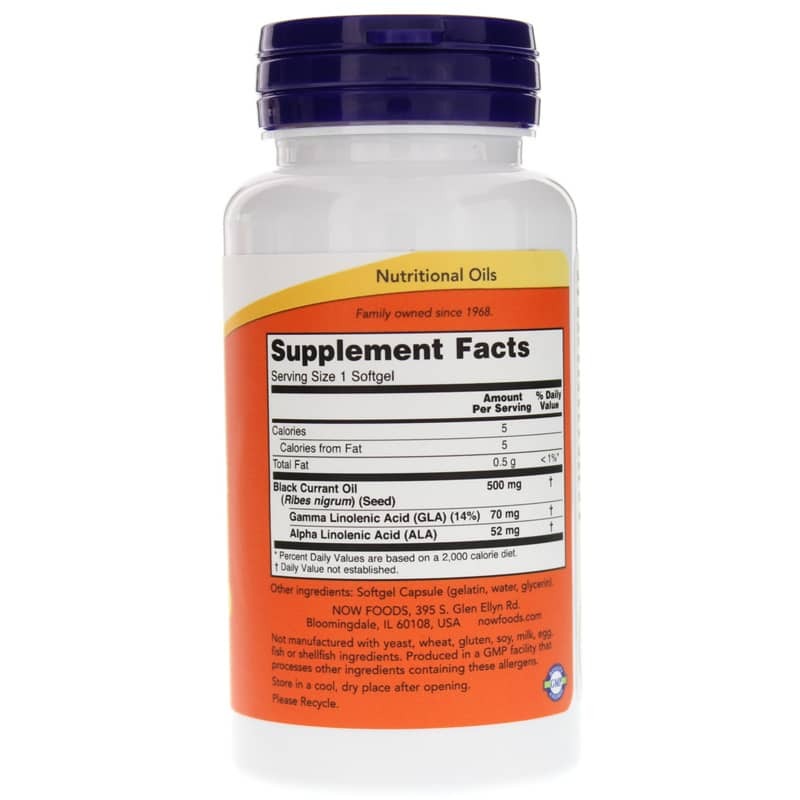 Adults: Take 1 softgel 3 times daily with meals. This was a much better choice for me and it has greatly reduced my irritation. Impossible to get better service than this! The day my order was placed it was sent out. That was on a Saturday. The following Monday, I received it and the shipping was FREE!! I've never had any service better than this (nor even as good as this). Arrived as described and quickly!